Automatic Crash Response: One of the best safety features by far. If happen to be in an accident, your vehicel has built-in sensors that will alert an OnStar Advisor. From there, the advisor will be able to connect right into your vehicle and make sure everyone is safe. Emergency Services: A red button is located on your review mirror, along with the other OnStar buttons. In an emergency, one push of that button will connect you to an OnStar advisor who will get you in touch with the emergency services closest to your location. Crisis Assist: The main function of this feature is to help you avoid things like severe weather, natural disasters, and power outages. OnStar advisors will be able to give you alternate routes and any other resources you may need to avoid the crisis.The best part is OnStar can even get in touch with family members to ensure your safety. Roadside Assistance: If you ever get stuck on the side of the road, just push that blue OnStar button and they’ll send a service technician right to you – at no charge. Remote Ignition Block: If you report that your vehicle is stolen, don’t worry we’ll find it quickly. Once the theft is reported, a signal can be sent to the vehicle through OnStar, blocking the engine from starting so it won’t start-up for the thief. Stolen Vehicle Slowdown: If someone has stolen your vehicle and the police are in pursuit, OnStar can send a signal to your vehicle that will slow it down automatically so the police will be able to catch the criminal and recover your vehicle. Theft Alarm Notification: With this new feature, if for any reason your vehicle’s alarm goes off you will be alerted immediately through a call, text, or email (whatever you prefer). This way, you can contact an OnStar agent and report your vehicle stolen as soon as it happens. Turn-by-Turn Directions: Don’t pull out your phone to look a place up. Press the blue OnStar button and tell them where you want to go! An OnStar Advisor will give you turn-by-turn directions to your destination. Destination Download: Going one step further with the Turn-by-Turn directions, if you’d like to download them right into your vehicle’s navigation system all you have to do is tell the OnStar advisor you’re talking to. OnStar eNav: This feature will come in handy of you’re a planner. Go to MapQuest.com and send the directions straight to your vehicle. Then when you’re ready to go to that destination just use a voice command and your directions will load! WiFi Hotspot: Surf the web wherever you're headed with the ability to connect up to seven personal devices at once to your in-car hotspot with OnStar 4G LTE. OnStar RemoteLink Mobile App: A new mobile app that connects you to your vehicle anywhere and everywhere. From the app you can start your car, manage WiFi Hotspot settings, and locate your vehicle. OnStar AtYourService: Get the best bang for your buck anywhere you go. With the help of an OnStar Advisor or your RemoteLink mobile app you can find the best deals on places to eat, stay, and shop. Hands-Free Calling: Don’t drive with your phone out! Just press the OnStar button and say who to call. You’ll be connected to that person in seconds. Remote Services: This is a wonderful feature if you lose your vehicle in a big parking lot. Contact OnStar and they’ll find your vehicle and direct you to it in minutes. You're also just a phone call away to have an OnStar advisor start your vehicle and help you get access if you lock yourself out. FamilyLink: You can keep track of your vehicle, even when one of the kids takes it. Go online to see its location or get notifications through your email or phone. Diagnostic Reports: Get a report on your vehicle’s engine, transmission, brakes, and more every month. You’ll receive an email of the results. Or, you can ask an Advisor to run a diagnostics test for you anytime! Dealer Maintenance Notification: We’re all very busy these days, but OnStar will make your life easier. When it’s time to get a routine maintenance your dealer will receive your diagnostic report and give you a call to set an appointment. If the the benefits of having OnStar in your Chevy from Perry Auto Group sound like something that will help to make your life easier, come see us today. 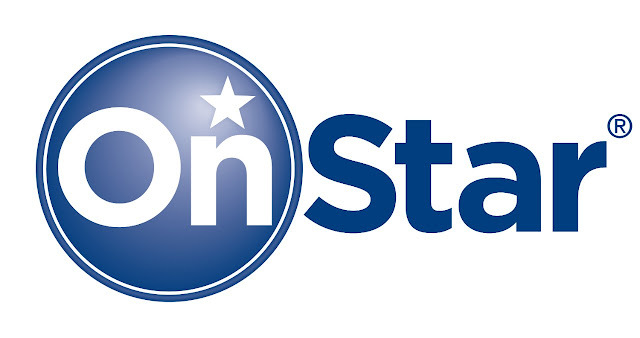 There are a variety of plans and options you’re able to choose from in order to choose an OnStar subscription that works for your needs. If you’re looking to get into a new Chevrolet we can help you with that too. Check out the new 2016 Chevrolet Cruze. With its built-in features and OnStar, you’ll love the convenience of this car. Perry Auto Group has two dealership locations to serve you better at 1005 W. Ehringhaus St, Elizabeth City, NC, 27909 or 1001 Halstead Blvd Elizabeth City, NC 27909. Stop in for any of your auto or community needs, or feel free to give us a call at (252) 338-9100.